Soapstone pots are one of the oldest culinary traditions in Brazil where they are known as Panelas de Pedra Sabão. They are widely used in homes and have been for centuries since they started making them in the Ouro Preto region of Minas Gerais. In fact, many restaurants in Brazil, especially in the State of Minas Gerais use them for their buffets. 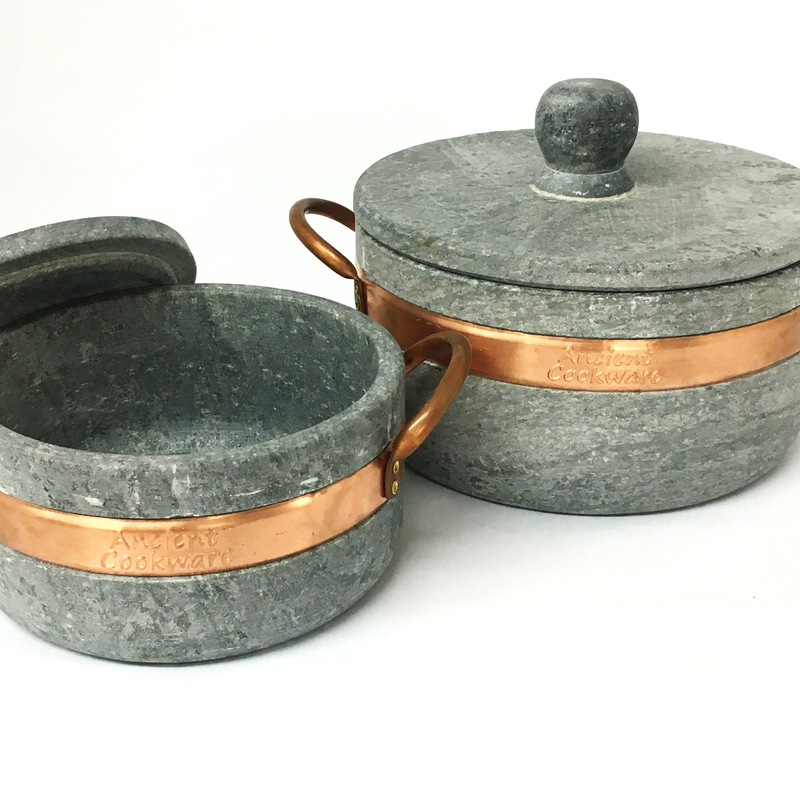 Not to be confused with stoneware, which is a kind of clay fired at high temperature, these are actually handcrafted from a single block of natural, non-toxic soap stone which allows them to withstand temperatures up to 1000°C and its thick and dense walls lets them retain heat twice as long as conventional metal cookware. The beautiful stone makes a stunning and exotic presentation to serve family style right from the pot, and serving from mother earth herself. Because it retains an even heat so well, they are fantastic for frying because the addition of food scarcely lowers the temperature of the oil.